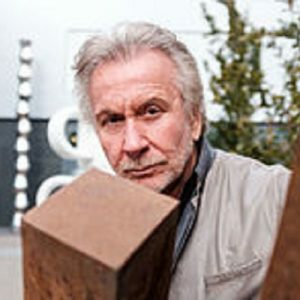 Bernar Venet was born to Jean-Marie Venet, a school teacher and chemist, and Adeline Gilly. He was the youngest of four boys. He was brought up in Chateau-Arnoux-Saint-Auban and had a religious upbringing, aspiring to become a missionary. He had struggled with asthma and academic subjects at school, while excelling in drawing and painting. With the support of a local artist; however, he became interested in painting and drawing at a young age. At age 11, discovering a book on Pierre-Auguste Renoir, he first understood that he might be able to forge a career out of his particular talent.